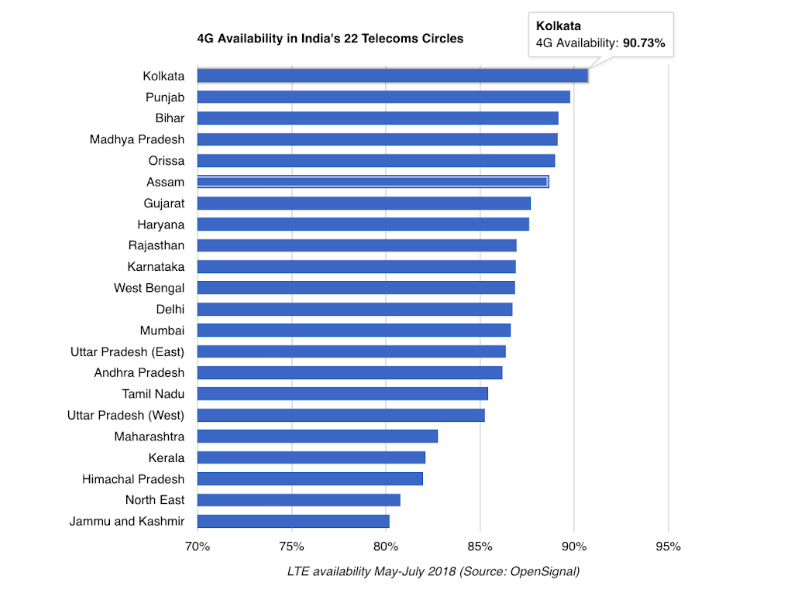 In a recent report posted by OpenSignal, a mobile analytics company, Kolkata has topped the list on a new analysis on 4G availability in India’s 22 telecoms circles. The company conducted analysis on 4G availability across all of India’s 22 telecoms circles in the 90 days from the start of May 2018. Popularly known as the City of Joy, Kolkata scored an impressive 90.7%, whereas all the other 21 circles saw LTE reach scores over 80%. In the list, Kolkata is followed by Punjab coming second with 89.8%, followed by Bihar on 89.2%, Madhya Pradesh with 89.1%, and Orissa on 89%. As per the report published, most of the top telecoms for 4G availability were in the Easter and Northern part of the country. Having said that, the Indian government has started the process for a major spectrum auction in the country, which should allow the operators to make further improvements in these highly impressive 4G availability scores. 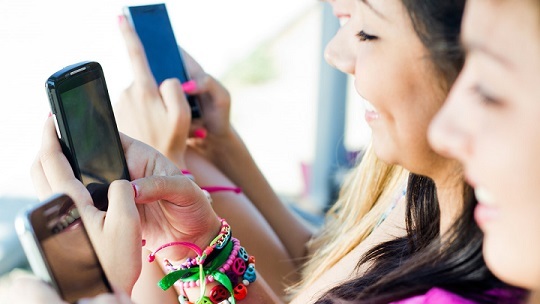 The telecom sector is developing at lightning speed, with operators investing heavily in their 4G networks, while fierce competition has led to several major mobile mergers in the past couple of years. India currently has one of the most exciting and dynamic mobile markets in the world — and we’ll continue to track all the developments through our metrics and analysis as they unfold.